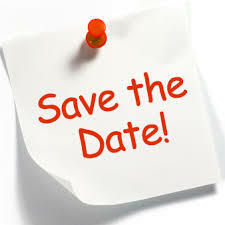 Check the OCRA Event Calendar for upcoming webinars. The OCCR (Oklahoma Central Cancer Registry) has purchased the NAACCR webinar series and is offering them free of charge to anyone involved in the cancer registry field throughout the state of Oklahoma. The NAACCR webinars are held from 8-11:00 am and will cover topics including AJCC 8th Edition Cancer Staging, as well as sessions on problematic coding issues. Sessions will be held in Oklahoma City and Tulsa - see calendar for details. Print a list of the NAACCR Webinar Series HERE or check out our Event Calendar. Click HERE to contact OCCR for more information or to register. Please note that handouts and specific conference room information will be emailed prior to the session. The 2019 Fall Educational Conference will be held at the Oklahoma Surgical Hospital in Tulsa, OK, on October 24-25, 2019. Denise Harrison, BS, CTR, will be our guest speaker for one full day of the conference. Additional details will be announced soon! Content updated 2/8/19. For questions about content, please contact the Webmaster.